Nick Fury and Maria Hill will definitely be part of Spider-Man: Far From Home. The future of the Marvel Cinematic Universe is largely a mystery right now as Marvel Studios tries to protect the secrets of Avengers 4. One unavoidable reveal is the fate of Tom Holland’s Spider-Man, though. Despite him being dusted in Avengers: Infinity War, his sequel is picking up right after the events of the Phase 3 conclusion. Peter Parker’s fate isn’t the only one confirmed to change though. Samuel L. Jackson stirred up some speculation a few weeks back when he teased getting back in character as the former head of S.H.I.E.L.D. 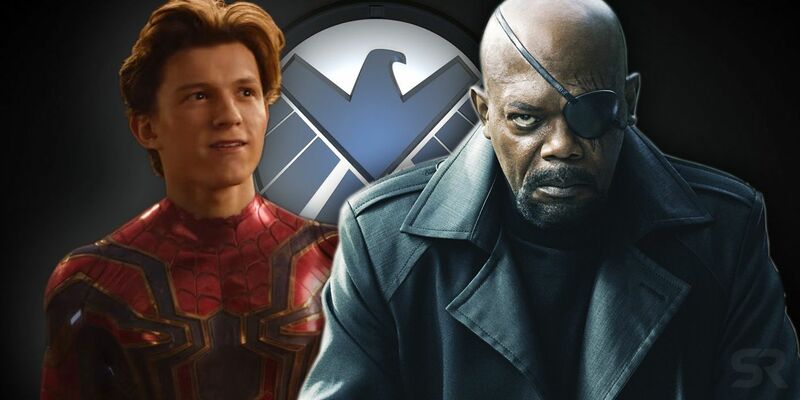 With a UK location marked, fans quickly began theorizing that Nick Fury was set to appear in Far From Home. This has only continued to be teased on Jackson’s social media, but now there’s actual reports that confirm his addition – and that of his loyal partner at S.H.I.E.L.D. 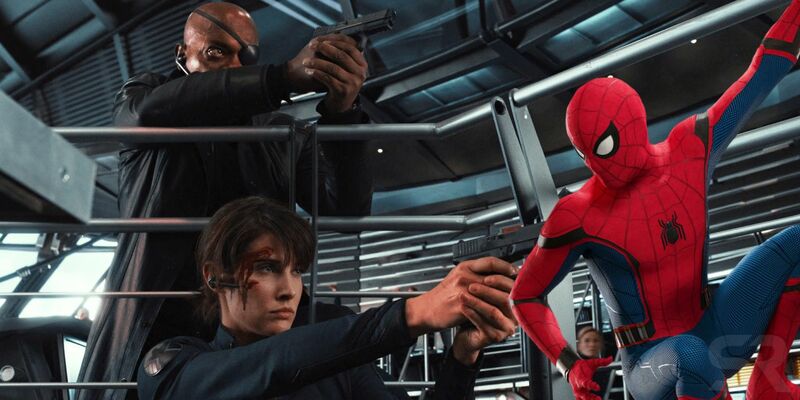 Vulture is confirming those reports that Samuel L. Jackson and Cobie Smulders will indeed be part of the cast of Spider-Man: Far From Home. This is great news for these characters as it confirms they’ll return to life, too. Both were victims of Thanos’ snap during Infinity War‘s post-credits scene. The report doesn’t reveal any information on how the two S.H.I.E.L.D. agents are involved, so that aspect is still left to the imaginations of fans for right now. We’ve already started to share our theories on how S.H.I.E.L.D. is going to factor into Far From Home. Now that both Fury and Hill will be appearing, there’s further weight to where we believe the sequel is heading. After becoming an Avenger in Infinity War, it looks like Spider-Man will now work for S.H.I.E.L.D. instead. This helps the globetrotting nature of the sequel make more sense, and gives Peter another balancing predicament. He’s supposed to be on summer vacation with his friends, but will tracking down Mysterio cause some problems? And, how can he keep contact with Fury in secret? These additions are the latest members of the cast to become confirmed. Numan Acar was the last actor to join and evidence suggests he may be Chameleon. There’s also JB Smoove as a new addition, while Michael Keaton is returning as the Vulture. Jake Gyllenhaal’s turn as Mysterio isn’t yet confirmed, but he was recently spotted not too far from where Far From Home was filming. With Peter’s classmates also safe and sound for the sequel, the cast is really filling out around Holland.